Air New Zealand has been ordered to pay a former experienced pilot $20,000 by the Employment Relations Authority for not acting in good faith. Peter Cross had been working at Air New Zealand for over 30 years when he was stood down from all flying duties in 2015, after crashing the simulator during an assessment. 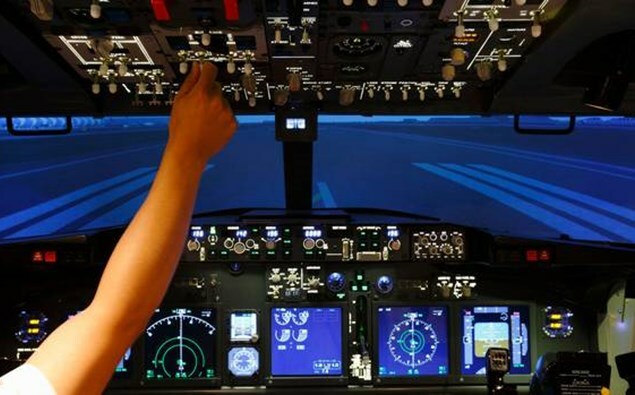 All Air New Zealand pilots are subject to simulator sessions every six months and are tested on issues including engine failures, malfunctions, navigation hazards, and adverse weather conditions. During Cross' employment there had been four incidents in his handling of stressful situations which rose concern at Air New Zealand. In December 2003, while flying a A230 flight Cross had an unstable landing, which led to a safety investigation report. Then over a decade later and in May 2014, during a flight from Perth to Auckland, the first officer was unable to enter the flight deck from the cabin because Cross would not unlock the door. As a result Cross was referred to a clinical psychologist for assessment. Later that year, during a simulation assessment, Cross failed to react to a weather-related flying crisis and had to re-sit the test. Then at the next simulation assessment in March 2015, Cross crashed the simulator and was stood down from flying duties. Pilots are required to hold a valid pilot's license and medical certificate issued by the Civil Aviation Authority of New Zealand. In June 2015 the Civil Aviation Authority declined to renew Cross' medical certificate and after that he took a period of sick leave, which became unpaid sick leave in October 2016. By then it was declared Cross needed to re-qualify and re-apply for a medical certificate after completing a recommended psycho-therapeutic interventions review. A report by the psychiatrist recommended Cross could return to his flying duties but with restrictions including, extensive simulator testing, being reviewed by Air New Zealand senior staff and working with a therapist. Cross' lawyer repeatedly asked Air New Zealand when he could commence simulator sessions, but the airline said it did not feel confident in the absence of a medical certificate. It said there was a potential for wasted time and costs in performing simulator exercises and training if Cross' medical certificate did not allow him to return to work. As a result Cross had to find other ways to complete his simulator sessions. By the end of October 2017 Cross had received his medical certificate, as approved by the Civil Aviation Authority, with some restrictions. Namely '020 Restriction', which required Cross to submit reports from Air New Zealand chief pilot every quarter and work with a therapist at least twice a month. His lawyer then asked Air New Zealand to restore Cross onto its payroll. But Air New Zealand raised concerns about the '020 Restriction' and the underlying medical situation having not been resolved as it required on-going work with medical specialists and assessment by multiple 'senior, supervising pilots'. The airline believed the restrictions fell outside its normal training and checking procedures, and was not confident it could accurately simulate the circumstances and pressure necessary for the assessment. The Employment Relations Authority said the safety of Air New Zealand passengers was paramount and the airline was only responsible for assessing Cross' technical ability not ensuring he was medically competent. Given that Cross had a history of incidents, Air New Zealand took the view that it would not be appropriate to test Cross' response in circumstances of stress during an operational flight, and the Employment Relations Authority deemed this fair. However the Employment Relations Authority found that Air New Zealand did not act in good faith as it failed to proactively raise concerns with the Civil Aviation Authority about the '020 Restriction' clause and did not engage positively with Cross' simulator testing requests, after he had been cleared to fly. Air New Zealand has been ordered to pay Cross $20,000 in compensation. Not everybody should or could be a pilot. If he is so indecisive then he probably doesn't make a good pilot flying in a country known for difficult weather at a lot of their airports. I would say Air New Zealand has acted appropriately in not returning this person to service. The day you lock your copilot out of the flight deck is the day you lose your medical - forever. Unless of course, your copilot is named O.J. and he thinks you're sleeping with his ex-wife. $20,000 probably didn't even cover his attorneys fees.